Roku announces new features and performance upgrades for its video streamers | What Hi-Fi? With an increasing presence of rival services such as Amazon’s Fire TV, Apple TV and Google’s Chromecast and Nexus Player, Roku has added some new features to its products to keep it at the forefront of video streaming hardware. 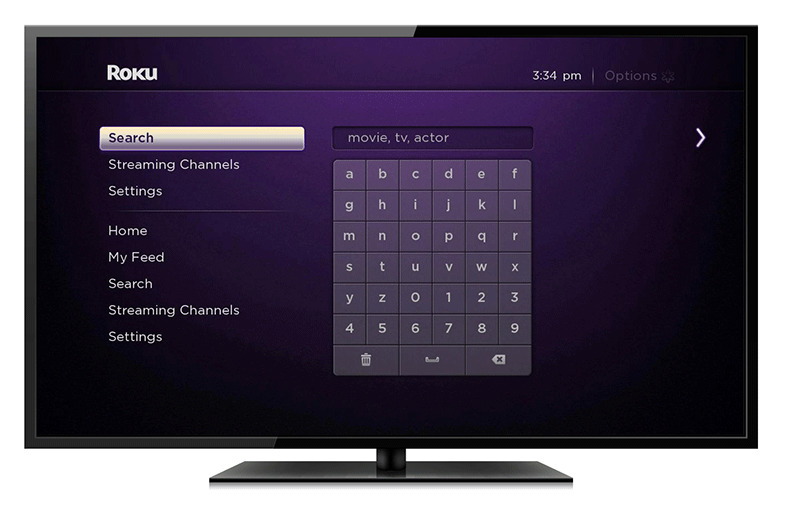 The first feature is Roku Search, which does exactly as its name suggests. Users will be able to search for movies, TV shows, actors and directors, to generate a list of results. A search for Samuel L Jackson for example will show all the films he’s in, across all of Roku’s channels. Results given include big name services such as Netflix and Amazon, as well as perhaps lesser known ones, that may have the same film for the same price. It’s an unbiased approach, compared to the service-branded hardware that directs you towards their respective apps. If you find a lesser-known service has more films than the big guys, you may find yourself changing suppliers. Channels will also become searchable, making it a lot easier to find the one you want among the 1400 Roku offers. The other new feature is Roku Feed. This allows you to tag films that are currently out in the cinema in your country, and then follow them for updates. Roku will let you know when that film becomes available across various channels, and how much it will cost. The Search and Feed functions will also be accessible through the compatible apps for Android, iOS and Windows. Users will be able to search for films through the app, without interrupting what’s playing on the TV. Some hardware upgrades have also been announced. The Roku 2 box is now the same as the Roku 3, and as a result, will be much quicker and smoother in operation than before. It will come bundled with an IR remote instead of the enhanced remote that comes with the Roku 3. (The enhanced remote doesn’t use IR and so doesn’t need to be pointed at the box. It also has a headphone jack for private listening.) The new Roku 2 will be available from May for £70. The remotes will also get the added benefit of quick-launch buttons to the major services: Netflix, YouTube, Rdio and Google Play. The new feature updates will be rolled out to all Roku player by the beginning of May. Roku says UK video streaming revenue hit £400 million in 2014, a 50 per cent rise from 2013. It’s expected to hit £1 billion by 2018. The company also says it has sold 10 million units in the four countries in which it operates: UK, Ireland, US and Canada. Those 10 million units have amassed 3 billion streaming hours, approximately 50 hours per month per household - roughly a third of their home entertainment time. This large-scale access encourages more companies to make their apps available on the Roku platform. Roku says it adds between five and ten channels every month.